VR adventure games seem to be at their best when they let the player loose to mess with the world of their own accord. You don't lose any desired immersion when you acknowledge the player as an outside force acting as they please. In the case of Ghost Giant, the outside interloper, the player, takes control of a literal giant ghost. 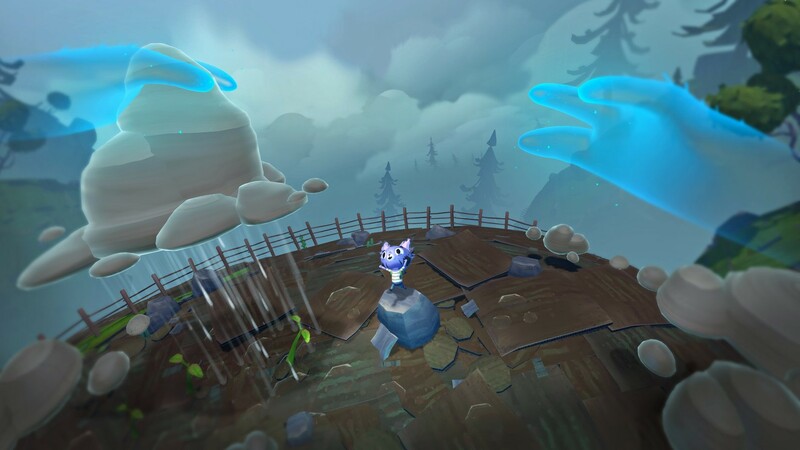 As this spectral giant with two equally massive arms controlled by the PlayStation Move controllers, you'll interact with the diorama-like sections of this tiny pastoral town to assist and freak out anthropomorphic animals with your ghostly powers.